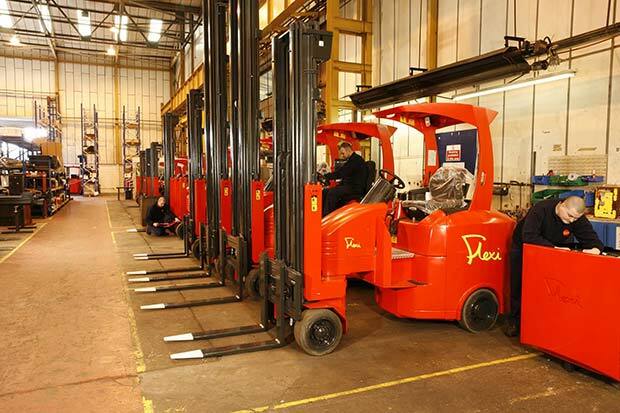 Narrow Aisle Ltd, manufacturer of the Flexi range of articulated forklift truck-based intralogistics solutions, has announced a major investment strategy that will allow the company to significantly increase output at its UK production site over the next three years. John Maguire, commercial director of Narrow Aisle, commented: “There a number of factors that are driving the strong demand for Flexi products. For example, continued growth in the ecommerce- based retail market is leading to further investment in high density product storage and, as Flexis are able to work efficiently and safely within the narrowest aisles without the need for expensive wire or rail fixed guidance systems, they are an attractive proposition at sites where space is at a premium and speed of implementation is critical.